8. Extraordinary speed in which the loan release was made. (ORLANDO L. SALVADOR v. PLACIDO L. MAPA, JR., et al. G.R. No. 135080 November 28, 2007). Of course it can be argued that one criterion is not altogether present. It is our position however that this specific loan request is a resurgence of the much despised behest loans of the past. The P1B loan is under-collateralized. We have no idea how much is being offered as security for the loan. Under the Project Information Manual, the proponent expects to acquire about several hectares as its project site which practically has no zonal value. In all probability, the project site appraisal alone is suspect as this is subject to overvaluation. While the project is being touted to have 11.2 MW capacity, it can only supply about 7MW of power (saleable capacity) to the Offtaker. Quezelco 1 has an operating maximum demand of 25 MW sourced from National Power Corporation and yet about 20% of this capacity is lost to systems loss. The game plan is to bloat the capacity to get the financial target of P1B. The proponent may argue that the machinery and equipment estimated at $28.7M form part of the assets of the company. But this remains to be seen because the borrower UBC is under-capitalized at P12,500,000.00 only or roughly $250,000.00 which is about less than one percent of the total project cost. It is not surprising if Macanang has already made indirect endorsement of this loan application to appease a long time supporter, the Suarez family. Debt of gratitude is ingrained in our culture and in the dying days of GMA administration, Suarez thought it best to cash in on the utang na loob. Going now on the stature of the stockholders of UBC, nobody among them can boast of adequate track record in an investment of this magnitude. There is even a short shrift on the business involvement of the Suarez family “in high technology trading in radar and communications systems.” But they forget that this involvement refers to Cong. Suarez personally and not on the individual stockholders thereof. If their intention is to get on board the Congressman, the proponent is treading on dangerous ground. There is no even keel when a sitting congressman close to Malacanang requests for debt from a government bank. The Project Information Memorandum intimates about the multi-purpose of the project such as cogeneration and production of ethanol, etc. This is simply laying the basis for deviation. There is a clear pattern of corporate layering by the simple expedient of organizing CRC and in a blink of an eye, another company is established, UBC, which mysteriously takes over the project from CRC. Bondoc Peninsula is basically good for animal husbandry given its terrain. In fact it has thousands of hectares devoted to cattle-raising hence much of its area is devoted as pasture/grazing land. From Buenavista down to San Narciso and San Andres, a large part of this area is devoted to maiz production. Hence, non-feasibility of the project for which financing is being sought. The bottom line is there is not much source of biomass. Unless the project targets much of Bondoc Peninsula’s marshlands and mangrove, our fish and marine life sanctuaries are put at risk. We doubt if the Department of Environment and Natural Resources will allow this project to prosper. But then again, the Suarez family has anticipated some environmental objections. That made the appointment of former Vice Governor David Suarez, son of Cong. Suarez, as Assistant Secretary of the department logical and well-thought of. But the best plans of mice and men sometimes go for naught. Right after the resounding verdict of the people of Quezon rejecting the division of the province into two: Quezon del Norte and Quezon del Sur (where the Suarezes expect to call the shots), we were told that there is a contract signing scheduled on August 31, 2009 between DBP and UBC for approval of UBC’s loan request of P1B. It was only recently when Quezelco 1 allowed UBC to take over the contract given to CRC, hence, the loan is being extra-ordinarily railroaded. The total Project cost is estimated at $28.7M. This is composed of Engineering, Procurement B Construction (EPC); capitalized financial and professional fees; and startup costs, land and contingencies. The total EPC cost is $22.7M. Of this amount $17.5M is the electro-mechanical portion and the remainder for civil works and the transmission line. Capitalized financial and professional fees total $3.5M while startup costs and others cost around $4.1M. The financing structure is forecasted to be at 80% debt and 20% equity. The Project owner intends to hold majority stake of the Project but plans to partner with a strategic minority shareholder. Debt providers have been identified and project consultants are in progressive discussions with a few, however the Project Sponsor is still open for discussion with interested parties (emphasis ours). At eighty (80%) percent loanable amount, it translates into about US$22.96M or Php1.102B in Philippine currency converted at the current exchange rate of P48 to the US$. CRC has the total discretion to parlay these funds. Originally, the RESA is between CRC and Quezelco 1. It would appear that UBC has now made some representations to substitute CRC as the SELLER. Amendments were introduced already, to be formalized by a reconvened Board of Directors of Quezelco where UBC has already taken over the contract. There is nothing from the General Information Sheets of the two companies that would indicate that one is the mother corporation or subsidiary of the other. In which case, the general rule prevails: that these two companies notwithstanding the commonality of their officers or stockholders are separate juridical entities. Nothing on record does it disclose that CRC has assigned it rights and interests over the RESA in favor of UBC. Certainly, the BUYER has done some legal and due diligence audits on CRC. UBC being a different entity can not just take over the contract without undergoing the same process CRC has completed. There being a change of personality, Quezelco 1 can withdraw from the effects of the RESA. We are now also drafting another supplemental letter to the Board of Directors of DBP informing the bank that the Suarez Family is also the owner of Suarez Agro-Industrial Development Corporation. Suarez Agro-Industrial Development Corporation entered into a Contract of Lease with DBP over an acquired asset (ice plant) located in Brgy. Biyan, Calauag, Quezon. The Suarez Agro-Industrial Development Corporation failed to pay DBP rentals in the amount of P650,000.00. There is no showing that this amount has been paid by Suarez Agro-Industrial Development Corporation with the DBP and a clearance therefor has been issued. 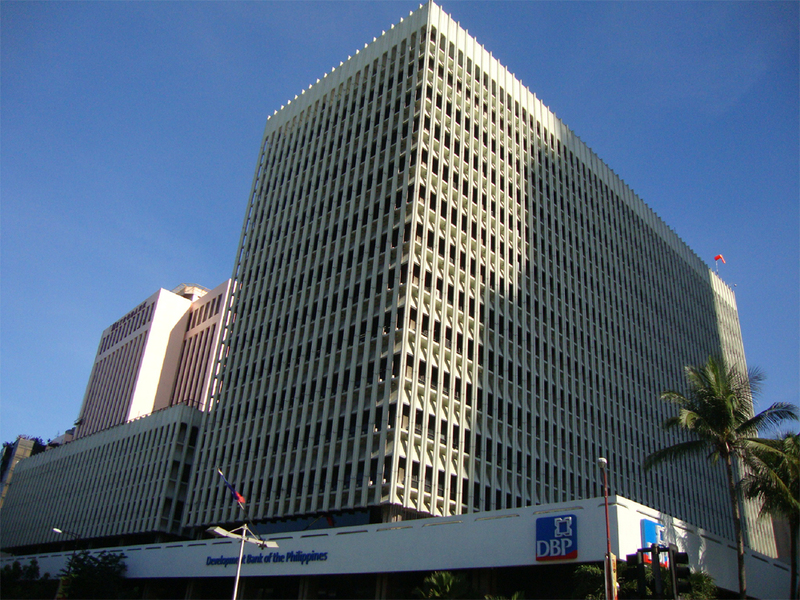 DBP sold the property to Jose Sy Bang. Sy Bang having thus entered into the shoes of DBP filed a recovery of possession suit against Suarez Agro-Industrial Development Corporation. For no apparent reason, Judge Antonio Mendez of the Regional Trial Court of Gumaca, Branch 62 issued a Temporary Restraining Order conditioned though with a filing of an injunction bond. Sy Bang’s right to possession was stymied because of the TRO. Upon Sy Bang’s inquiry with the RTC, the Suarez Agro-Industrial Development Corporation had not yet complied with the filing of the injunction bond. A motion was filed by Sy Bang to lift the TRO for lack of an injunction bond. For no apparent reason, an injunction bond was produced by the counsel of Suarez Agro-Industrial Development Corporation, Atty. Vicente M. Joyas without notice to Sy Bang or counsel. It was however found by the Supreme Court to be spurious; hence, it directed the National Bureau of Investigation (NBI) to investigate. Perhaps by informing DBP of these particulars, it will revisit the approval of the said loan. Incorporator, Stockholder and Director of Unisan Biogen Corporation.